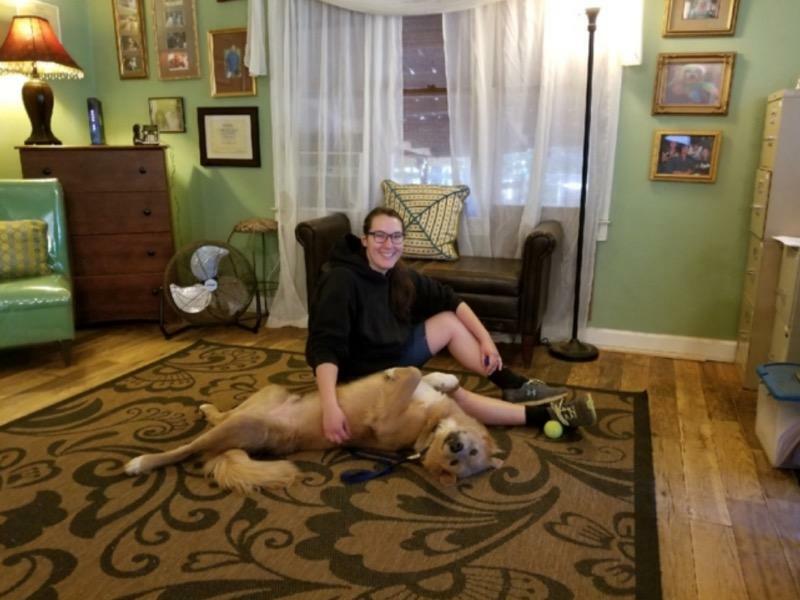 We offer all levels of in home dog training courses: house breaking older dogs, potty training puppies, behavioral issues, aggression management, our obedience curriculum and anything else you would like to include in the In-Home Dog Obedience Training Course. Our methods are effective and easy to follow. All family members are welcome to join the training! In Home Dog Training Atlanta (Address required prior to issuing a price quote) We cover most Metro Atlanta areas. Cost is dependent on your distance from our facility at 12900 Freemanville Rd, Milton, GA 30009. For each additional dog, add $100 for the full 6 sessions. In your home, dog obedience training includes house-breaking older dogs as well as potty training puppies, socialization with other dogs, and training around other dogs as a distraction. This 6-week course will be tailored to exactly the problems you are having. Your dog will learn to listen to you no matter what the distraction. The benefit to in-home training versus group or on-site private training is the convenience of a trainer coming to your home and working on your time scheduler. They will have 3 tricks to graduate!! Fronts & Finishes – First calling your dog to you, they will sit directly in front of you, and then they will go behind you to sit on your left side. This is all one command. Precision Heel. Sit when you stop. Turn left and right staying in proper position. 5 minute sit in distractions with toys being thrown past the dogs: food distractions, kids and dogs running by while the dog maintains his long sit for 35 minutes. 10 minute down in distractions – same as above but with the dog in a down position. Place command in high distractions. Dogs can not get off the place bed till commanded, no matter what is going on around them. This includes running and/or playing dogs. Down in motion: walking fast and commanding a down, your dog must follow the command and lie down. You will keep walking while your dog remains in position. Sit in motion: Walking fast and giving the sit command, your dog will stay in position while you walk away quickly. Starting out of sight commands: This means dog must stay in positions even if you are out of their sight and a distance away from you. Starting off leash heeling and off leash basic commands. Back up: Dogs must know how to back up if you need them to, particularly in tight quarters. The above puppy obedience training courses include The Life of the Dog Services. All of our classes and services are taught by certified, experienced trainers. If you have any questions on dog training, puppy training, house breaking or any other dog obedience training issues please call Susie at (770) 754-9178.